Askew Bridge Barn in Cirencester, Wiltshire sleeps 4 people. Askew Bridge Barn in Cirencester is a detached barn which is situated in a great part of Wiltshire, but also very close to The Cotswolds. The property is a great place for exploring these two parts of the country with plenty to see and do. You are close to the famous sights of Stonehenge and Avebury and the historic Market town of Marlborough. Just 10 minutes away is the Cotswold Water Park which has a freshwater lake great for fishing and you can swim, kayak and paddle board. It also has a manmade beach and is a great place to visit with lots of activities. The accommodation also boasts a hot tub, so after you have been exploring all day, there’s nothing better than having a dip in the hot tub to relax with your favourite tipple. The shop is 2 miles from Askew Bridge Barn in Cirencester, with the pub and restaurant 1 mile from Askew Bridge Barn. Living area: With 48 Freeview Smart TV, DVD player, beams and French doors leading to garden. Gas central heating, electricity, bed linen, towels and Wi-Fi. Garage with tumble dryer. Welcome pack. Enclosed garden with sitting-out area and garden furniture. Hot tub for 4 (private). Bike store. Private parking for 4 cars. No smoking. Holidays at Askew Bridge Barn run from Friday to Friday. Pets allowed at Askew Bridge Barn. For a better idea of where Askew Bridge Barn is, you can see Askew Bridge Barn on the map below. Askew Bridge Barn is in Wiltshire; should you be on the lookout for a special offer, you can find all the special offers in Wiltshire. It's always worth checking to see what is on offer at the moment. 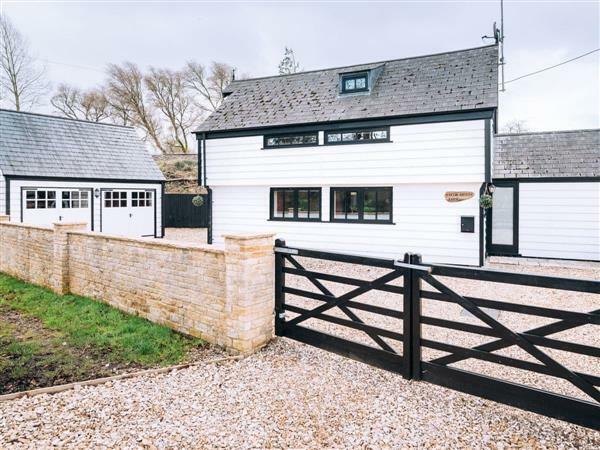 Do you want to holiday near Askew Bridge Barn (UKC3349), you can see other cottages within 25 miles of Askew Bridge Barn; have a look to find your perfect holiday location.